Brendan MaherCEO at R U OK? Brendan Maher is the CEO of R U OK? – an organisation most well known for R U OK?Day, a national day of action committed to encouraging and equipping everyone to regularly and meaningfully ask “are you ok?”, of anyone who might be struggling with life. Since the inaugural R U OK?Day in 2009, R U OK? has become a household name. In 2016, an estimated 72% of Australians were aware of R U OK?Day, with one in four of those people taking part. To help make real, lasting change in Australia, R U OK? has broadened their reach beyond a national day of action. Campaigns such as R U OK? at Work, R U OK? at School and R U OK? Afield (targeting FIFO/DIDO workers), are providing effective platforms to promote regular, meaningful conversations all year round. Brendan is a passionate advocate for suicide prevention, and a former member of Lifeline Australia’s senior leadership team, where he spent seven years before stepping into his current role at R U OK? in 2013. Brendan leads a small, responsive, and dynamic team who are experts in community activation, social media and integrated marketing campaigns. I first got into community sector roles centered around suicide prevention kind of by accident. I had studied a degree in communications, majoring in advertising and marketing at the University of Canberra. I then spent 8 to 9 years working in different advertising agencies in account executive roles eventually ending up in a re-branding role. I spent the last 18 months of my corporate career working for an organization called Lifeline as part of a re-branding campaign that they were running. It was a project of considerable size given that Lifeline was a federated program with locations all around the country. It was about pulling together a whole range of stakeholders and coming up with an agreement around the future image of the brand. At the end of that process, the CEO at the time, Dawn O’Neil, approached me about my interest in possibly coming over into the community sector. It was something that I had not really thought about previously but I had enjoyed my time working with Lifeline, working with people who really believed in what they were doing. I then stepped into a role setting up a Cannabis information helpline for the Australian Government, something I had no prior experience in doing at all. It involved engaging with builders and telcos in order to set up a telephone based communication center for cannabis information. This then evolved into a role as the National Fundraising Manager for Lifeline Australia which attempted to bring together all of the separate entities in order to develop a national fundraising strategy. The strategy needed to support both the national organization and the centers who were all running independently. It was a new role and a great challenge to work with the centers who all had their own geographical areas in order to unite them so that we could continue to cover the ongoing costs of running a national telephone service which was receiving close to 2,000 calls a day from Australians in crisis. After 7 years with Lifeline I finished in the role as General Manager of Sustainability which incorporated fundraising, corporate relations, media and marketing. We went through a few changes, Dawn left and we had a new CEO who remained in the position for around 18 months. It was a pretty significant period of change for the organization, following the departure of the new CEO another colleague in my team was appointed as CEO. The organization then restructured, part of that involved reducing the leadership team from a team of 8 to a team of 4. At the time, I thought this was a good natural time for me to leave. I took one of the redundancies that were on offer and spent some time thinking what my next move would be. I took some time as a break and to really think, walking the Kokoda Trail as part of my reflection period. Whilst I was still working on my next move, I received a call from Dawn O’Neill, the first CEO during my time at Lifeline. Dawn advised me about a role she had heard was open at R U OK? as a general manager on a part-time basis. It required the successful candidate to move to Sydney, as a Canberran I was not prepared to move full-time given that I had a wife and family in Canberra. I decided to still throw my hat in the ring and the organization agreed that I could work two days a week in Sydney and the rest of the time from Canberra. The R U OK? initiative was started by Gavin Larkin in 2009, Gavin was motivated by the need to address one of the biggest personal challenges in his own life which was explaining to his children why their grandfather was not around. He had lost his own father in the mid 1990’s to suicide. Gavin wanted to ensure that other families didn’t have to go through what he and his family had endured. Gavin had also come from an advertising background, he was a successful and well-known player in the Sydney advertising game. He was able to mobilise the media resources and contacts that he had to start this movement, the R U OK? Day, the first of which took place on the 10th of September 2009. Shortly, after the first R U OK? Day Gavin was diagnosed with a lymphoma and unfortunately Gavin lost his battle in 2011. Those first couple of years following the loss of Gavin were extremely difficult, not only in trying to start a national program but also in respect of losing Gavin from the cause. Gavin’s story and tenacity drew people to get involved and to bring his dream alive. Following the death of Gavin one of his close associates, Nina, who had helped him to begin the movement, took on the role of CEO. When I joined the organisation, Nina had just given birth to twin boys and needed to move into a part-time role. During that time I was working very closely with her as a part-time CEO and a full-time General Manager. After 12 months, Nina decided that she needed to take off more time in order to be able to spend more time with her young boys. This led to me moving into a full-time CEO role. We have just pulled into Tenterfield, on our way to Brisbane. We are about 5 and a half weeks into a 6 and a half weeks long road-trip around Australia. The journey is called the Conversation Convoy and it leads up to the R U OK? Day which occurs on the second Thursday of September. As part of our convoy this year we are driving around in 4, wrapped, bright yellow Audi diesels, we have been supported by the Audi Foundation in getting our convoy on the road along with a bunch of other amazing corporate sponsors. Each of the vehicles represents one of the steps in a 4-step process that we promote around having a conversation with someone that you are concerned about. The process being to ask, to listen, to encourage action and to check-in. These four steps have been pivotal to R U OK? for a number of years now but this year we are really wanting to strip it back to the practicality. We want to provide people with a roadmap as to how to have the conversation and to give them a place to start. More importantly, we want to teach people how to navigate and how to respond when someone they know reveals that they are actually not okay. By next Thursday we would have run 32 events in different communities, from big cities to regional towns, across Australia. All the events have been centered about providing the resources that we all have in abundance being our eyes, our ears and our mouth, but which are often held hostage by fear and stigma. We have had a great response from all of the communities so far. We are still to travelling up to Brisbane, up through North Queensland and will end up in Cairns for R U OK? Day. Our end point has always been Sydney, given the significant media presence and the fact that the R U OK? day is our equivalent of a grand final. We want to be more than a one-day a year event, it is a question that we should be asking each other every day. Cairns is a massive regional hub, it is an iconic place in Australia and it worked in terms of being able to circumvent Australia from our starting point of Uluru on the 1st of August. The media side of things is not as important anymore as it once was because a lot of our content is now generated independently. We now have two fulltime videographers and a photographer on tour with us, at the end of every event we develop an open source news package which broadcasters can access and utilize as they see fit. When you are hitting some of these remote areas, journalists and TV crews are few and far between. We have an amazing crew on the road with us who are passionate about what we are doing. There are five of us on for the whole time and then there are a further 7 or 8 people who are transitional including high profile ambassadors. There are only 7 members of the R U OK? team, we are very small but dedicated team. Everyone would spend some time with us depending on where we were, what we were doing and what sort of level of commitment people were able to make. We have one man, a paramedic from NSW who took long service leave and joined us for the whole time. We had a couple of guys from the events company that are helping us with the event. Just a good solid group of people who are looking after one another, we are still eating breakfast and dinner together as a group. It makes it a lot easier when you get along with the people you are travelling with, especially given that you are meeting people on the street and hearing people’s own stories. It is important that we are then looking out for eachother given how serious or emotional that some of those stories are. There is no shame putting your hand up and admitting that you are not going well. The truth of the matter is life happens to all of us. We all experience the loss of loved ones, relationship breakups, financial problems, physical illness or the feeling of not being able to get up in the morning even when we know we have so much to be thankful for. I would just say to people, looking back at all those people we have met over the past decade who have been in this place, if you make some positive changes in your life then generally things will get better. However, if you keep going down the same path and are expecting a different result or if you are looking for the answers at the bottom of a wine glass, eventually you will the realize that you need help. Sometimes this takes the help of those around you and this is the focus of R U OK?, we focus on the people around the person who is struggling. Those who have the gut feeling that someone in their life isn’t doing okay, we help them to find the right moment to say to that person ‘you haven’t been returning my calls, is everything okay?’. People will often tell you, especially those dealing with grief, that it is the people that they least expect who stand up. That it is often the ones they expected to stand up who weren’t there, often because they are worried about saying the wrong thing or that they are going to make things worse. If you think about the hours and hours we spend on our i-Phones, what if wequarantined just some of these hours to stay connected with those who are going through a hard time? This is particularly true for men, although not an exclusively male problem, but we are not as good at keeping our social circles intact. We can go years and years without talking to someone who was once very important to us, although we are good at picking things up from where we left them. What if we took just an hour of our drive each day, using handsfree of course, and rang someone we haven’t spoken to in a while just to see how they are going and to let them know that we are thinking of them? My advice would be to follow your gut feeling if you are worried about someone, don’t worry about muddling up your words as I can assure you that they will appreciate it. They may not appreciate it right there and then but in time they will, they will feel more connected and more valued. If you are struggling yourself, put your hand up and ask for help. Go and see your doctor, have a conversation with someone that you trust. It is so easy to say but sometimes we just fall back on the hope that if you ignore something, it will just go away. It might, but most of the time unless we make changes and keep our social circles strong things won’t improve. Keep in touch with friends and give your partner space to catch up with her girlfriends or with his mate or their family. One of the most incredible things about being on the road is the fact that you pick up these insights everywhere that you go which force you to think about what you are doing that little bit differently. I am a massive believer of insights, I believe that insights can change your world. You can be in a moment with someone and reach a point of absolute clarity when you least expect it. If you think about the things that have happened in your own life where out of the blue you have had a conversation with someone and they have given you that little bit of a nugget that you have never forgotten that has changed the way in which you think about things. I would say to someone who is experiencing challenges in their life, you can navigate the pathway to help and hit brick wall after brick wall. But if you keep your eyes open for that insight it can absolutely and categorically change your life. One of the most memorable stories I can think of around this is a lady who I met who told me her story about being addicted to heroin. She had a beautiful family, she was born into a middle-class family to parents who put her through private schooling. They just wanted for their daughter to be successful, they gave her everything that she wanted. Her addiction got the better of her, she treated her parents horribly by stealing, lying and threatening physical violence. She had a younger sister, born 10 years after her. The only person she felt who had never judged her was her younger sister, who was just a little girl. When she came home drug affected, scrounging around for money and then disappearing again, this little girl remained a constant source of love in her life. What changed her life and what changed everything about her were the words of that little girl. She had returned home to steal from and abuse her parents, when that little girl said to her ‘look, I don’t like you anymore’. That was her moment, it changed everything for her. I think there really is something in the capacity for us to draw something very strong from people if we keep our eyes and ears open. I have been privileged to see what I have in working in the space that I am in, it sounds a bit touchy feely but I don’t think without being open to these insights that you can reach the heights that you want to reach in life. Sometimes those insights can ambush you, they will hit you between the eyes we you least expect it but when they do, you will know. My favourite quote that I use with my team and my funding partners is ‘no surprises! Unless its beer, wine or chocolate’. It is about being transparent, honest and upfront with one another. A surprise should only be a surprise if it is a good thing. I am reading a book at the moment which probably seems completely misaligned with my core values as CEO of R U OK? I am ready a book at the moment called The subtle art of not giving a ****, it is a very popular book. It is a fascinating read as not only is it very funny but it is also full of insights. I am not into the self-help books, I like to escape into my books. I am on Kindle and love to download Amazon’s daily recommended book, I have amassed a heap of them. Some of them are terrible but I don’t really care, it is about being able to escape. 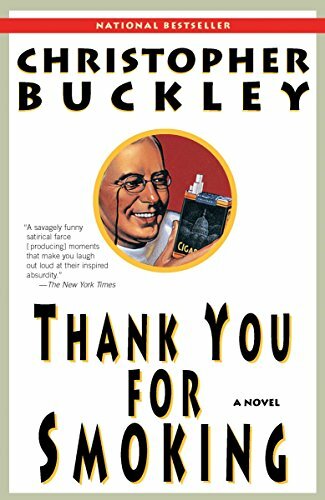 I am also reading another book at the moment Thank-you for not smoking by Christopher Buckley which is hilarious through its outrageousness. I don’t read enough but I do love reading, I am going on a holiday in the next few weeks and I am looking forward to hitting the books. The best way to find out more about R U OK? would be to visit our website which is ruok.org.au. There isn’t much about me on the website but you can find me on LinkedIn. I publish fairly regularly on LinkedIn around the different events and things that we have going on at R U OK?. I find LinkedIn to be a pretty good community.